The snow forecast for Val Gardena is: Heavy rain (total 50.0mm), heaviest during Wed night. Very mild (max 11°C on Sat afternoon, min 1°C on Fri night). Wind will be generally light. Val Gardena Weather (Next 3 days): The snow forecast for Val Gardena is: Heavy rain (total 50.0mm), heaviest during Wed night. Very mild (max 11°C on Sat afternoon, min 1°C on Fri night). Wind will be generally light. Val Gardena Weather (Days 4-6): Heavy rain (total 29.0mm), mainly falling Sat night. Becoming colder with a light covering of snow, mostly falling on Sat night. Freeze-thaw conditions (max 10°C on Tue afternoon, min -2°C on Sun night). Wind will be generally light. Heavy rain (total 29.0mm), mainly falling Sat night. Becoming colder with a light covering of snow, mostly falling on Sat night. Freeze-thaw conditions (max 10°C on Tue afternoon, min -2°C on Sun night). Wind will be generally light. Heavy rain (total 50.0mm), heaviest during Wed night. Very mild (max 11°C on Sat afternoon, min 1°C on Fri night). Wind will be generally light. The above table gives the weather forecast for Val Gardena at the specific elevation of 1236 m. Our sophisticated weather models allow us to provide snow forecasts for the top, middle and bottom ski stations of Val Gardena. To access the weather forecasts for the other elevations, use the tab navigation above the table. For a wider view of the weather, check out the Weather Map of Italy. in or near Santa Cristina in Val Gardena? Fantastic scenery. Well maintained excellent mainly red pistes. Lots of differing ski areas. Timed slaloms and fun parks. Traditional looking towns. Hidden valley trip. Queues anywhere on Sella Ronda can be awful making it difficult to get to some ski areas. 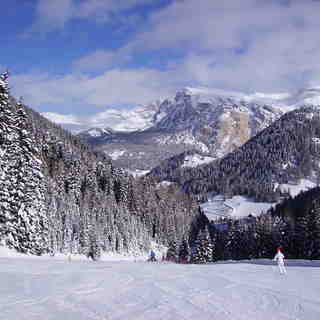 Sella Ronda pistes and key runs to Selva are very busy. Many blue runs can't be accessed by beginners and cautious intermediates as they involve a steep red run to get there and/or back. Some buses/walks required around St Christina/Ortisei. Really enjoyed the Selva area but rather spoilt by queues on the Sella Ronda and some horrifically busy pistes. Sone areas really need new increased capacity lifts and more pistes to spread the traffic. Well maintained excellent mainly red pistes. Lots of differing ski areas. Timed slaloms and fun parks. Queues anywhere on Sella Ronda can be awful making it difficult to get to some ski areas. Sella Ronda pistes and key runs to Selva are very busy. Many blue runs can't be accessed by beginners and cautious intermediates as they involve a steep red run to get there and/or back. Some buses/walks required around St Christina/Ortisei. Really enjoyed the Selva area but rather spoilt by queues on the Sella Ronda and some horrifically busy pistes. Sone areas really need new increased capacity lifts and more pistes to spread the traffic. 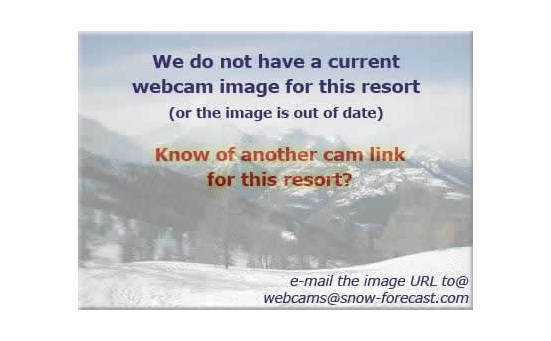 The Val Gardena skiing weather widget below is available to embed on external websites free of charge. It provides a daily summary of our Val Gardena snow forecast and current weather conditions. Simply go to the feed configuration page and follow the 3 simple steps to grab the custom html code snippet and paste it into your own site. You can choose the snow forecast elevation (summit, mid-mountain or bottom lift) and metric/imperial units for the snow forecast feed to suit your own website…. Click here to get the code.